ADP (Accidental Damage Protection) provides unlimited number of repairs and a single replacement of your Lenovo notebook or tablet for drops, bumps, spills, electric surges and LCD damage. 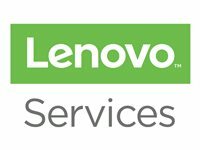 If the system can be repaired, Lenovo guarantees the system will be repaired by a qualified technician using Lenovo qualified parts. If repair is not possible, the entire system will be replaced with an equivalent unit at no charge.With a Lenovo ADP Service, you benefi from a "total" coverage for your Lenovo mobile systems. Coverage provides for an unlimited number of repairs with no caps on number of repairs or dollar value of repairs in a year.The average cost of repair for a system that has experienced accidental damage is $550, depending on the components damaged. The cost of some components such as a systemboard is over $1000.